Geoff Pinney, player for 25 years and chairman for 16 years. 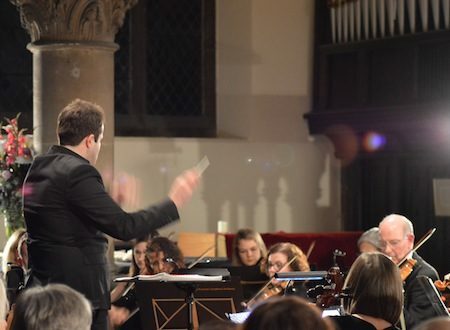 Hounslow Symphony Orchestra is an amateur orchestra of around 55 players. We play three concerts each season, usually at St Mary’s Church, Osterley Road, Isleworth TW7 4PW and St Paul’s Church, 56 Grove Park Road, Chiswick, W4 3SB. We concentrate on the standard classical and romantic repertoire and from time to time perform contemporary works. 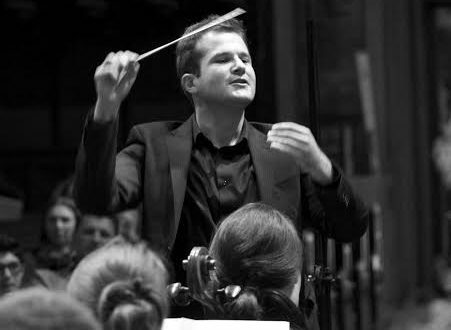 Our conductor and music director is Olsi Qinami, who has conducted major orchestras in London, Italy and Albania. Our leader, Nicola Garty, has performed professionally all over the world. Our chairwoman is Polly Manser. 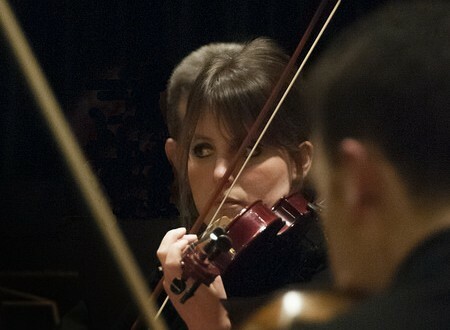 The orchestra fulfils an important dual function in that it benefits its members by enabling them to pursue a passion, and in the wider context it is a means by which the playing of and listening to serious classical music is extended out of the professional arena and into the community. We are grateful to our supporters Anthony James Manser estate agents and Garner & Hancock solicitors. Our musical director and conductor is Olsi Qinami. Thinking of joining an orchestra? We are recruiting strings (all sections) and brass.